Cozy knotty wood pine cabin with a fully equipped kitchen, propane fueled fireplace, DISH TV. Two bedrooms, Two Full Baths. Located in the Sierra Nevada on the South Fork of the Stanislaus River. We are on the Historic Sonora Pass and near the Emigrant Wilderness area of the Stanislaus National Forest. In this peaceful setting, you can enjoy the comforts of home and still be close to a wide variety of mountain recreational activites. Walking distance to the Stanislaus River; located in Old Strawberry. One mile from Dodge Ridge Ski Resort; short driving distance from Leland Meadows; close to Pinecrest and Beardsley Lakes. Nearby Pinecrest Lake has a marina with small boat rentals in the summer. Easy Access from Highway 108. Bedroom #1: Queen-size bed; bring linens or sleeping bags. Bedroom #2: one bunk bed and one full sized futon; bring linens or sleeping bags. Both bathrooms have tub/shower combinations. Bring towels and personal toiletries. Full-sized futon in the family room. Laundry room has washer and dryer. Not to be used on winter mornings, pipes can freeze during the night and back up during the drain cycle (winter). Kitchen is fully equipped with appliances, dishes, glasses, flatware, can openers, bbq gadgets, corkscrew, etc. Some herbs and spices are left for your use. Feel free to use what you find in cabin: games in hall closet. We ask that you keep children out of the garage. Leave no trash behind. We are in a national forest. Leave only your footprints in the forest. We have been coming to the Strawberry Pinecrest area for many years and were fortunate to have found this cabin in 2003. It is close to the Stanislaus River and Dodge Ridge Resort. We fly fish and spin cast at the river during the fishing season and ski during ski season. We use the cabin year round. During the ski season, we can get to the cabin without having to drive the added hours, travel the extra miles and fight the traffic to get to Tahoe. The cabin is simple, cozy, comfortable, and close to fishing and skiing areas. We enjoy the hiking, the outdoors, and tranquility of being away from the big cities, yet still having the amenities of home. This cabin is perfect for a family looking for skiing at Dodge Ridge, sledging at Leland Snowplay, or enjoying the Pinecrest Lake. It is close to all these places. However, the secluded location provides great privacy. Cammie, the owner, is very helpful and responsive with all the details regarding the stay. She will do her best to make your stay great, even in 6ft of snow. We plan to come back whenever we go skiing at Dodge Ridge or during the summer. Had a wonderful time at the cabin. The owner was very helpful from the rental to the closing up of cabin. the location is great for skiing in the winter and fishing in the summer. We we be back soon for another enjoyable trip. My wife & I spent a much needed long weekend, away from the bay area, in this immaculate, comfy, & cozy home. We really enjoyed the quiet, serene surroundings, and the chance to relax & unwind. Cammie, our Hostess was extremely helpful & accommodating. We will definitely return to this spot again! We had a fantastic weekend here! 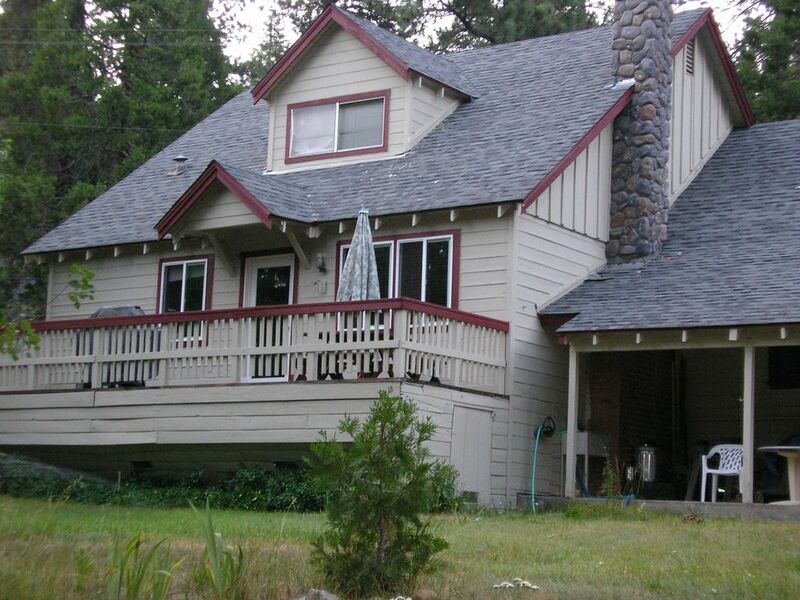 2 min from Pinecrest lake! Short walk to a beautiful meadow and creek! Make sure you bring your own towels and bedding!! We saw a bear walk past the house around midnight! Thank you so much for choosing our cabin for your vacation and for the nice review. So glad you enjoyed the stay and saw the local bear too!! Come back soon. Mountain adventures year round, winter skiing and snow shoeing. Horse back riding, sightseeing. Outdoor amphitheater. Dining at Strawberry Inn, Mia's, Steam Donkey, among others! Rates are subject to change until reservation is confirmed and payment is received. No refund for cancellation unless a replacement guest is found for the same period. The VRBO cleaning fee is nonrefundable. The security/key/clean deposit is returned when the cabin is returned undamaged; cleaned; trash removed and the key is received.